Your support helps us continue our vital work, reaching thousands of Jews. Please remember that we depend entirely on funds we raise. 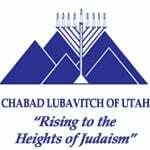 We are not supported by any central office and every dollar of every donation benefits the Jewish community of Utah.